From the crew that delivered cult classics Apples & Oranges, Knockout, Elektro, and most recently, Hello World. 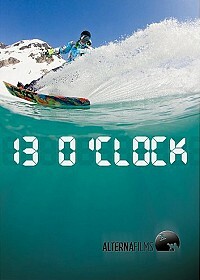 Alterna Films is proud to present its 2011 feature film 13 O’CLOCK. This film dellivers inspired filmmaking and technical freestyle snowboarding at a paramount level. Stand out segments include a visit to the land of the rising sun, Mike Wiegeles Heli as well as an Icelandic mission. 13 O’CLOCK reveals the characters and personalities that are the framework of this film. Be sure to follow the new web series on Push.CA titled "To Be Determined." Damian Marley Jamrock Rob Dinero Remix Feat. The Notorious B.I.G.